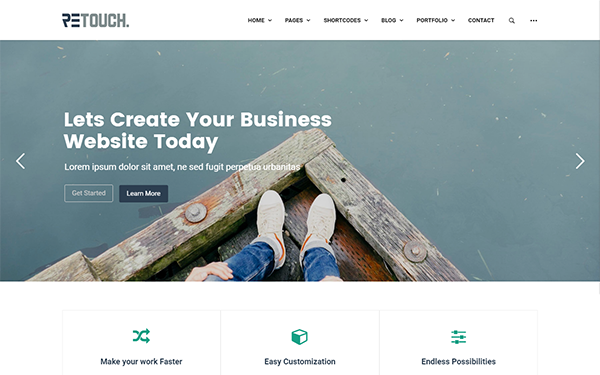 Retouch is a beautiful and fully responsive WordPress theme perfect for any type of websites. It has modern and clean design. Whether you like to create a corporate, agency, creative, personal, and small or large business websites, this theme is for you. More new amazing features are coming soon in the feture updates. You are eligible to free download of all future updates once you purchased this theme! Enjoy using this awesome theme!